Since we are living in Portugal we thought it would be a good idea to recount our adventures in an occasional series we call Portugal Day Trips. 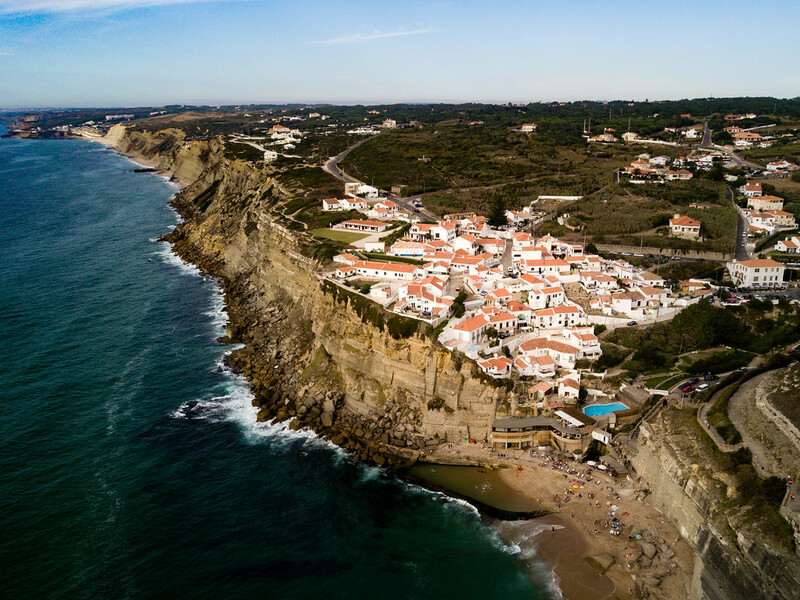 We will be continually adding to this feature, and sharing more photos of Portugal, so please check it out and if you have any suggestions for more out of the way places to visit in Portugal, please let us know. 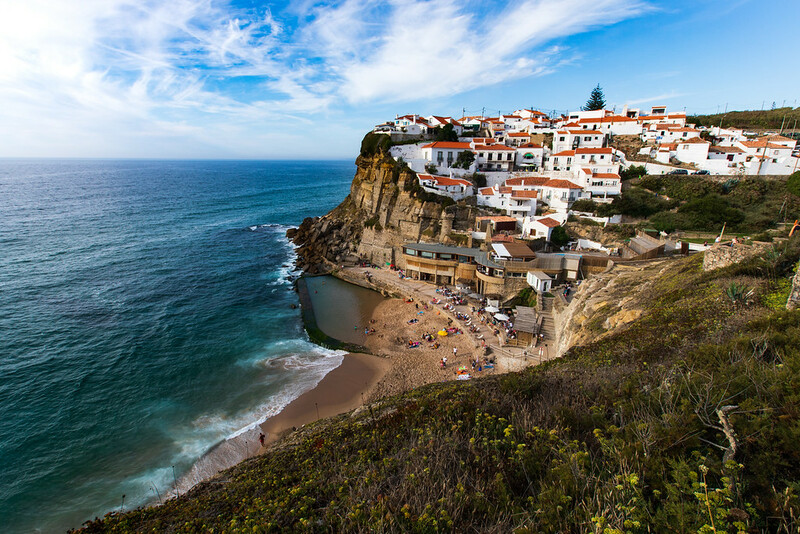 About 30 kilometers from Lisbon, Portugal, Azenhas do Mar, is a small seaside village, built precariously onto cliffs overlooking the Atlantic Ocean and is located within the Sintra-Cascais Natural Park. Sarah and I had seen many photos of this picturesque little spot, and when we found that it was practically on our doorstep, we decided to have a look. There isn’t much to do here other than go to the beach, eat in one of the many restaurants, wander the narrow back streets and listen to the waves. 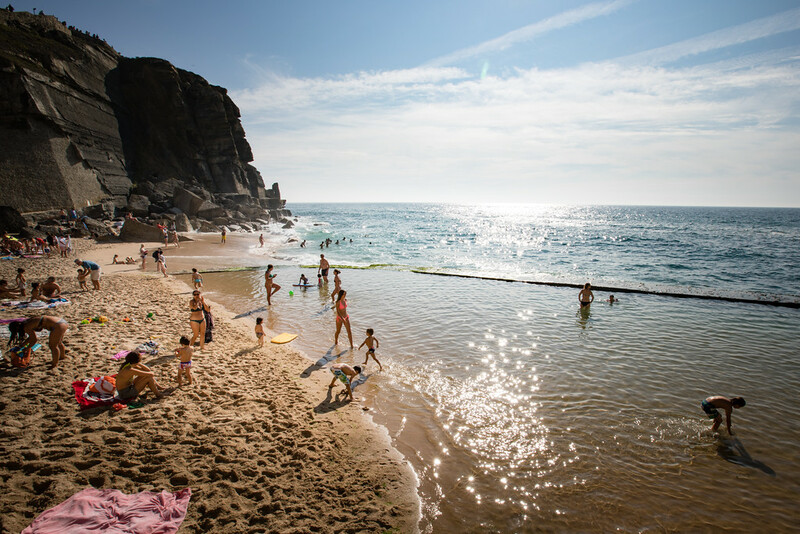 There is a protected tide pool at the beach in Azenhas do Mar, which allows protection from the surf. For a little perspective, I even took the DJI Mavic Pro up for little flight over the water.